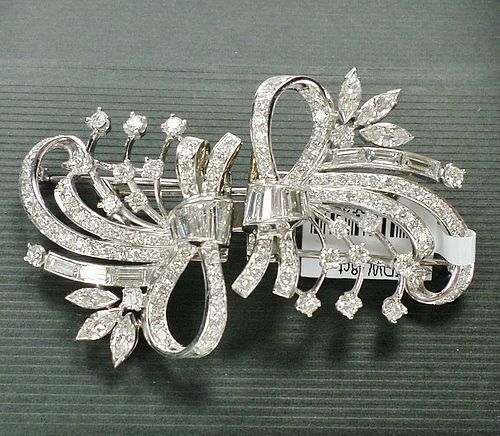 Spectacular, platinum and 8ctw H color round, marquise and baguette cut diamonds duette brooch pin. 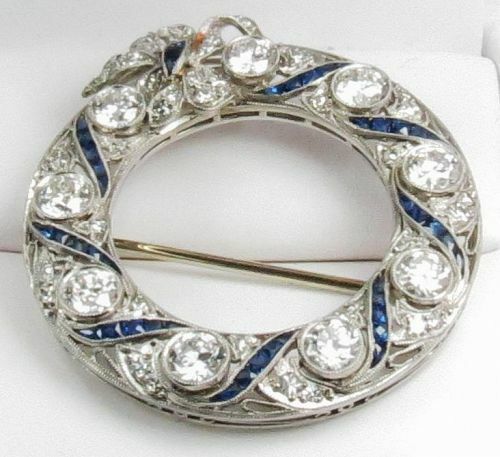 This magnificent brooch measures; 2 1/2" x 1 1/4". It is in excellent condition. Weight is 35.25 grams. 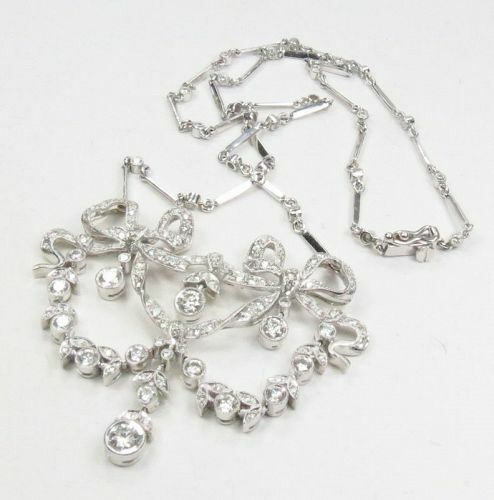 Stunning, antique, Hamilton, platinum and approx. 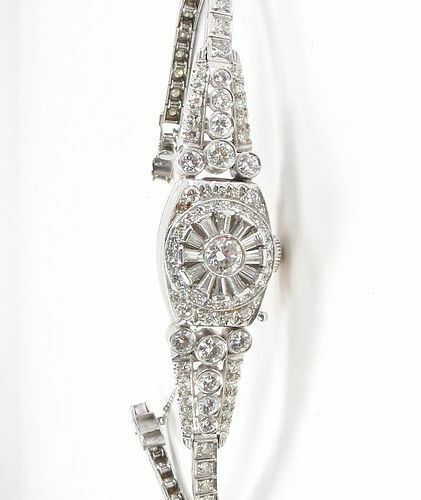 4ctw of baguette and round cut diamond lady's watch. 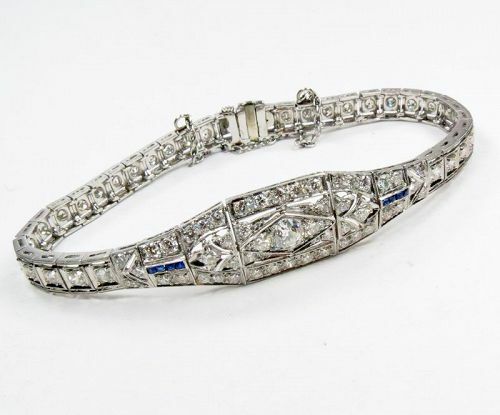 This beautiful hidden face watch is currently in good working condition. Bracelet is 7.5" long, . Watch consists of approx. 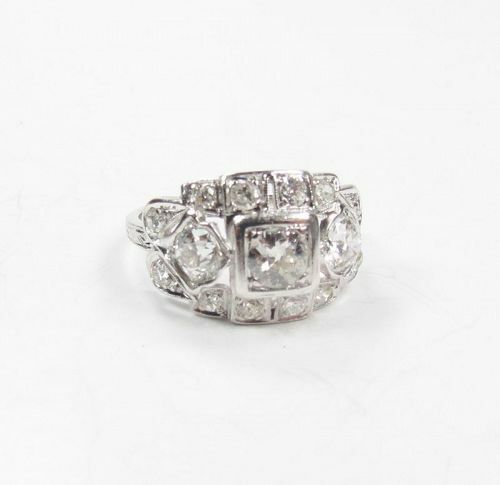 4ctw of F-G color VS1 clarity diamonds. This manual watch works well, it will fit medium size wrist . Weight is 28.49 grams. Watch was serviced and works well. It is marked 10% IRID. PLAT. 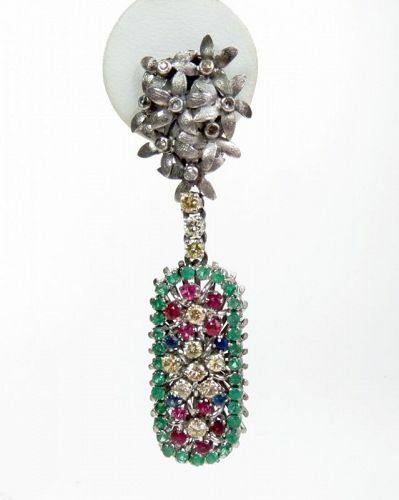 Exquisite, Art Deco Era brooch composed of platinum, 14k white gold, natural, untreated jadeite jade and diamonds. 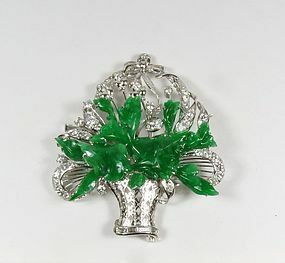 This beautiful pin measures 45mm x 12mm, carved emerald green jadeite jade is 35mm long x 12mm wide. 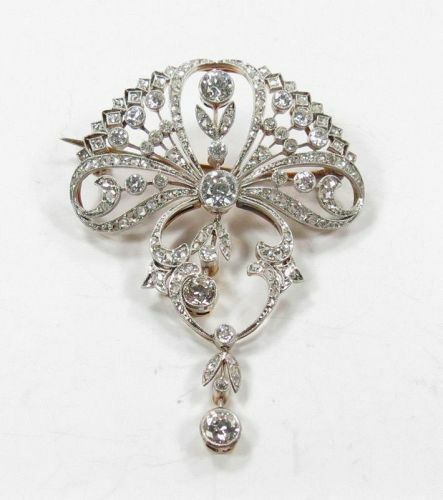 Brooch consists of 6 small sparkly diamonds. It is in excellent condition. Weight is 7 grams. 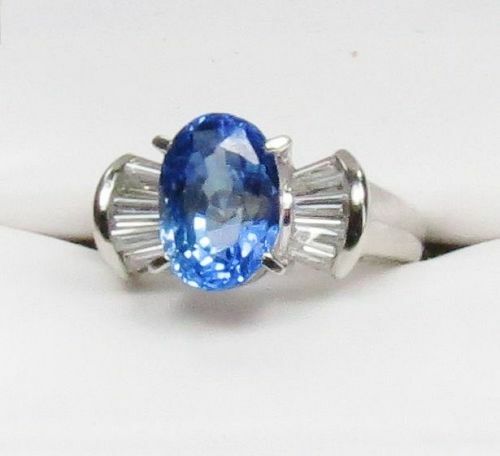 Estate, platinum 1.63ctw diamond sapphire engagement ring. Certified. 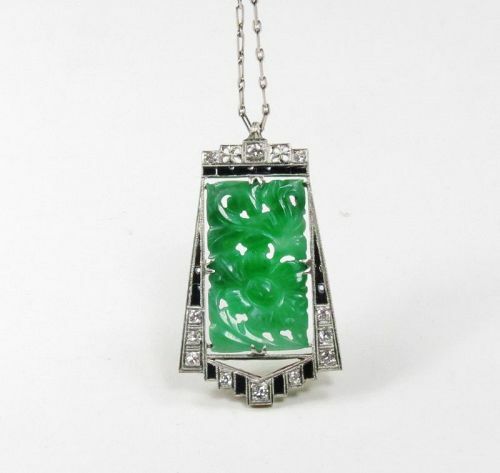 Gorgeous, Art Deco Era, platinum, 2ct round brilliant cut diamond and carved imperial jadeite jade brooch. This fabulous brooch measure 2 1/4" x 2". Weights 20.5 grams. Signed Plat. 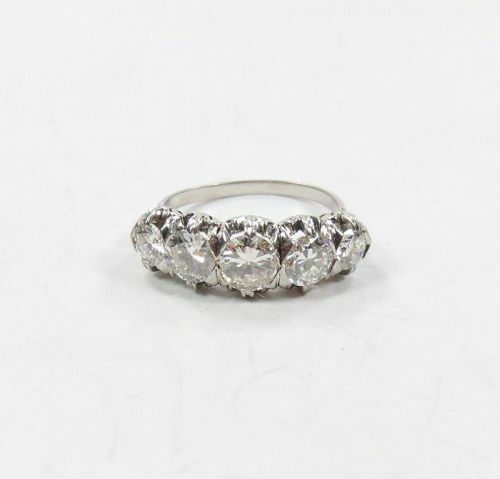 Diamonds F-G color SI1 clarity.